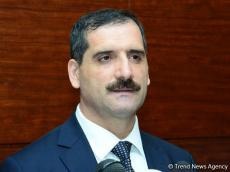 The Turkish people recall the victims of the January 20 tragedy with great sorrow, Turkish Ambassador to Azerbaijan Erkan Ozoral told Trend. “On the day of the January 20 tragedy, we honor the memory of the heroic sons of Azerbaijan who died for the independence of their country,” he said. “We must remember these bloody events that took place 29 years ago. Undoubtedly, the Azerbaijani people will never forget these events, which are one of the important stages on the path to Azerbaijan’s independence, and will always honor the memory of the martyrs. The steps taken in this direction by the relevant agencies of Azerbaijan, headed by President Ilham Aliyev, are praiseworthy." The diplomat said the Turkish people will always be beside the Azerbaijani people, both in joyful and sorrowful days.